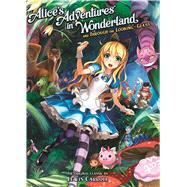 Seven Seas is pleased to present Alice's Adventures in Wonderland and Through the Looking-Glass, an all-new, lavishly illustrated omnibus collection that contains Lewis Carroll's original Alice in Wonderland novels. For those who have never read Lewis Carroll's Alice novels, or for those who wish to revisit the beloved tales, this new edition of a perennial classic will appeal to today's reader who appreciates adorable manga-styled artwork. This 320-page collection contains all of Lewis Carroll's original text along with two full-color spreads and one hundred black-and-white full-page and spot illustrations. Alice's Adventures in Wonderland and Through the Looking-Glass is a collection of stories featuring the titular character, Alice, and her misadventures through the curious and fantastical lands of Wonderland. As little Alice goes deeper and deeper down the rabbit hole, she meets an assortment of oddball characters, like the eccentric March Hare, the whimsical Mad Hatter, and the enigmatic Cheshire Cat, who will all become familiar faces within this strange world. If Alice is to navigate the dangerous yet fascinating landscape of Wonderland, she must learn who is friend and who is foe, and use her good breeding and wits to find a way home. Lewis Carroll is the author of such classics as Alice’s Adventures in Wonderland, Through the Looking Glass, The Hunting of the Snark, Jabberwocky, and Sylvie and Bruno. Kriss Sison is the artist for Amazing Agent Jennifer and Bakugan Battle Brawlers: The Evo Tournament.